This piece of handmade dichroic glass has hues of greens and sparkles so much. Piece was crafted by Rhonda Young glass artist. 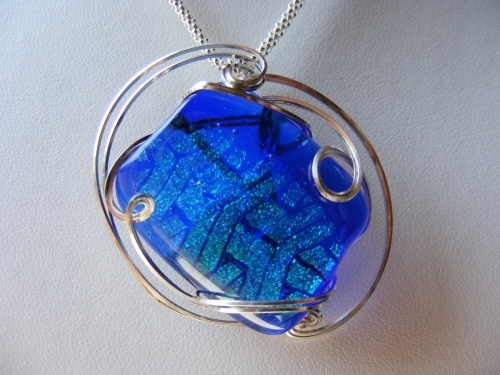 Enhanced with sterling silver wire wrapping. Piece measures 1 1/2" and comes with popcorn chain.